Goro Tanamachi was born in Seal Beach, CA on May 27, 1919, the fifth child of Kumazo and Asao Tanamachi. The family moved to Texas in 1921 and eventually settled on a farm in the Rio Grande Valley. oro enlisted in the Army Air Corps and was sent to Technical School in Illinois and graduated as an airplane mechanic in 1941. 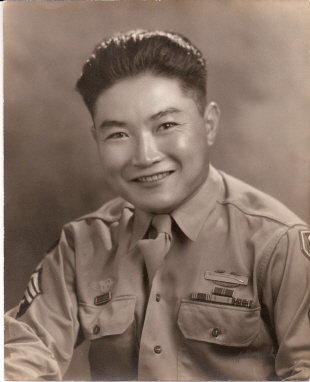 The day after Pearl Harbor December 1941, Goro was removed from duty with the Army Air Corps and worked at the Post Exchange until he was sent to the Army at Camp Crowder, MO. He completed motor mechanic school in Fort Crook Nebraska in 1942 and achieved a Technician Fifth Grade. When the 442 nd Infantry outfit was approved in February 1943, he was sent to Camp Shelby, MS, as part of the original Cadre. One of his buddies owned a car and a group of four soldiers drove to Camp Shelby. Fortunately, Goro was a skilled motor mechanic when the car broke down in route and he was able to repair it quickly. While at Camp Shelby, Goro also completed the second echelon mechanics course. 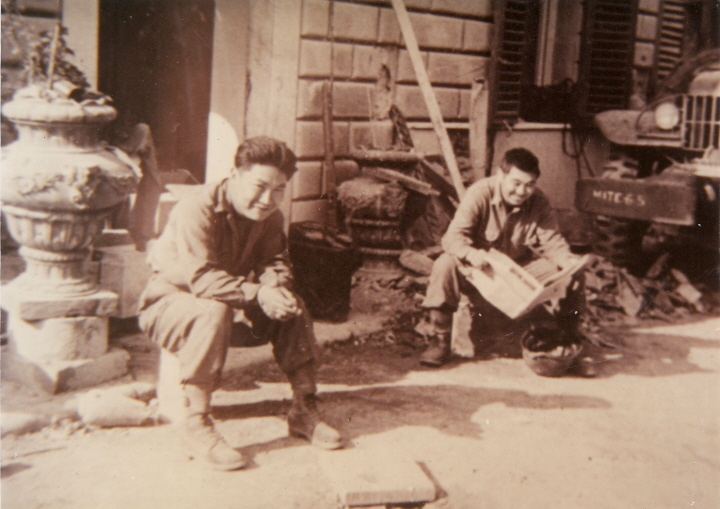 After an Honorable Discharge at the end of the war on August 4, 1945, Goro returned to Texas and married childhood sweetheart, Yuriko Kawamura. They eventually settled in Ohio where they lived until his death in 1990. They have four children and four grandsons.